Mahenge the Cinderella of the graphite space? The CEO says Black Rock Mining wants to build a mine that sets new standards in the burgeoning graphite space in project delivery, start-up performance and then reliable supply of a product with the right value profile. The Mahenge project, he says, continues to tick the boxes that will put him in a position to realise its immense promise. For him, it's now a case of a sector Cinderella being ready for the ball. Recent delivery of graphite projects hasn't given investors a great deal to get enthused about. From stuttering start-ups and lack of product price transparency, to imploding companies, the sector has generally belied its regular vow to be a vital, profitable part of the supply chain for growing high-tech industries. "Everybody charged into graphite saying this is pretty easy … you just crush it, grind it, float it, screen it, and sell it," says de Vries. "How hard can it be? "The evidence is, it's a whole lot harder than most think it is. 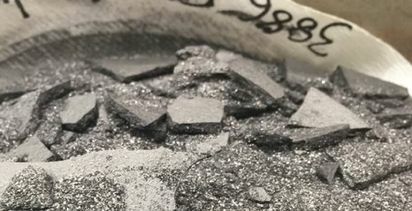 "Unlike gold where there is a vast amount of domain knowledge, there simply isn't a library of experience sitting behind the graphite industry. We've said in the absence of a vast amount of experience we better have data. So we've gone out and got the data. "Unashamedly, going big on the pilot plant was the right thing for the DFS, but it was a fundamental part of de-risking our finance strategy by providing concentrate to pursue a targeted marketing strategy. Simply put, the right data gives us a process plant that works and appropriate amounts of concentrate for customers to test. This in turn gives us a technically proven flow sheet and design we can finance supported by customers who are prepared to sign offtake contracts after sufficient testing to get comfortable with our product. "It's not rocket science, but it does require discipline and focus. "That's why, at 90 tonnes, our pilot plant is 10-times bigger than anyone else's at the study stage. It took us 15 iterations before we arrived at a circuit that we were happy with. To de-risk the project execution we also aligned Black Rock with an engineering panel that's got the experience to interpret the data produced. "Between Yantai [Jinyuan Mining Machinery] and CPC [Engineering], they've built five graphite plants in the past 10 years. That's five more plants than anybody else." de Vries is a veteran mining engineer who was part of the team that helped St Barbara turn around the struggling Simberi gold operation in Papua New Guinea. Before that he headed BHP's Nickel West strategy group, managed in large mining services companies, and ran mines and multi-discipline project teams in a 35-year career. de Vries has led Black Rock as the junior moved into the definitive feasibility study (DFS) phase on its 100%-owned Mahenge project in Tanzania, having established Mahenge's status as a world-class, high-purity graphite deposit (211.9 million tonnes at 7.8% TGC) with some unique development features related to what's in the ground at the Mahenge district property, and around it. Black Rock opted to use the engineering contractor (CPC) that worked on Syrah Resources' new Balama operation in Mozambique as it got into the critical engineering and design phase at Mahenge because the Perth-based firm beat four other bidders with its portfolio and credentials, and because it afforded Black Rock the chance to learn all it could from Syrah's market entry. The just-released DFS aligned well with the company's optimised pre-feasibility. The high-margin, long-life project delivers a NPV10 (10% discount rate) after tax of US$895 million and an IRR of 42.7%. With C1 cash costs down at US$400/tonne, and a selling price of US$1,300/tonne, Mahenge delivers a margin of US$900/tonne. The 32-year project life only consumes about one-third of the resource base, so clearly there is an opportunity to expand if the opportunity is there. Black Rock's 90-tonne pilot plant trial at SGS Lakefield in Canada has underpinned its work on refining a Mahenge process flow sheet that amplifies the project's metallurgical advantages (it has yielded a 99%-plus pure graphite concentrate at flotation stage) and stimulates market interest in its concentrate. "We've [funded and] run a pilot plant big enough to answer the critical design questions … and give us concentrate samples of meaningful size that we can put in front of customers," de Vries says. "It's certainly been invaluable so far in helping us to shape a marketing strategy. "And we're already building a real understanding of what our product can and can't do, and how that relates to the channels we'd like to put the product through. "What we've been really focused on here is getting the right answers that are bankable. "Our marketing strategy was very targeted. We targeted those customers who could extract value from our concentrate. To do otherwise puts you into a price based conversation, not a performance based one." 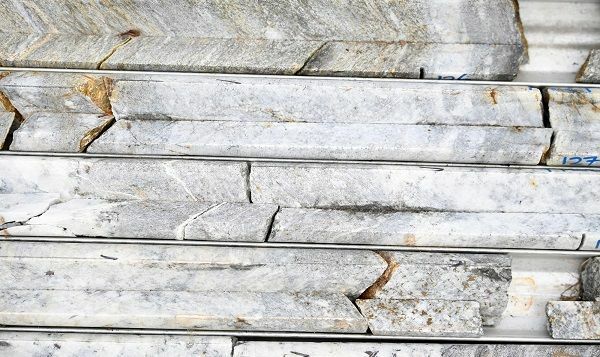 The strategic success of the focused marketing program is evident with Black Rock having just signed its first offtake with one of China's biggest integrated graphite producers, Heilongjiang Bohao. Not only is this Black Rock's first offtake, at 90,000t by year three, it is also the biggest in the sector by an order of magnitude. "Heilongjiang Bohao was pretty much on every graphite developer's speed dial. What we did differently was ask a simple question: How much of what type of product would you like to try? We agreed on specification, and then we delivered. We delivered because the pilot plant gave us that optionality. And remember, we still have conversations going with the other 23 customers on our mailing list. "So, was the pilot plant worth the extra effort and cost? "Bottom line, it's worth a little bit of extra money upfront to make sure the plant is designed well and that I can get up that [production] curve in a hurry once it's built. If you want a really expensive study, you build the wrong mill. That's how you destroy tens if not hundreds of millions of dollars of value. "As far as we're concerned this is about getting built, and if you're going to get built, you need finance, so you've got to do the work properly, and have customers who are prepared to pay for your product." 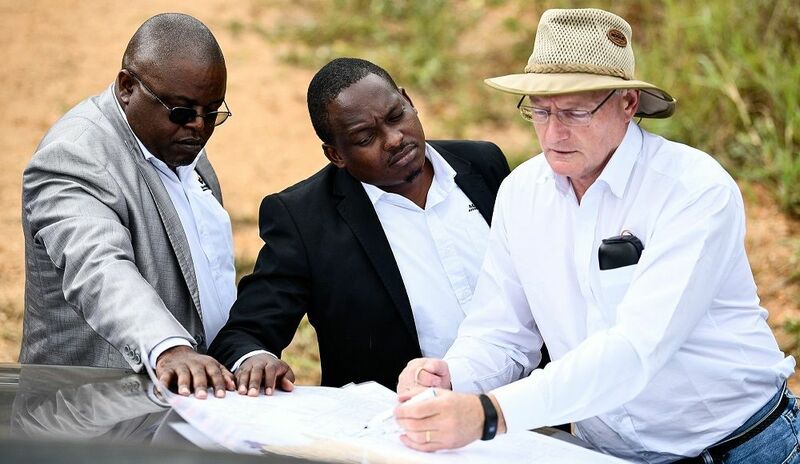 While Tanzania has been revealed as one of the world's richest new sources of graphite for a range of growing markets and Mahenge is among a number of deposits in the development pipeline, de Vries says Black Rock pretty much "lucked up" at Mahenge with a unique combination of geology and geography. "The deposit itself has got some pretty unique properties," he says. "Because we don't have a secondary mineralisation overprint, we a have simpler and easier to run project. Mahenge gives us a clean flake and drives the exceptional concentrate grades. 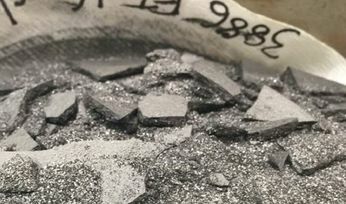 "And that provides a focus for the team: the one thing we're going to do is make good graphite, simple. "The other thing is because of the location we've really focused on getting the logistics right. When I was a young engineer my foreman pulled me to one side and handed out a gem of wisdom. Anyone can break the rock, the hard thing in mining is moving it, and I think this graphite is really proving that. Logistics in this business accounts for 30-40% of the cost to service the customer. "If you are not spending 30% to 40% of your effort in that area, you are probably leaving money on the table. "Logistically, Mahenge is blessed. We're looking at a short haul down to Ifakara, [then] containerise it and load it onto trains. The trains take it straight down to one of the biggest ports in east Africa. Dar es Salaam is not just the main port for Tanzania, it's also an important port for Zambia, Congo, Burundi, Malawi, Uganda … so it's a big port and it's got a very mature and sophisticated logistics function that hangs around it. "I think of it as being the difference between flying from a regional airport or a capital city airport. Regional airports means less planes and a lot more cost to go anywhere. Dar is the major port in our region and delivers, more ships and more containers. Mahenge's location also gives Black Rock access to competitively-priced grid power, and water. "The final part of the puzzle for us is the operating model, which we've referenced in the DFS [where] we said we want it to be Tanzania-centric [with the workforce] - not because of the government but simply because it makes good business sense to onboard and train a competent national workforce. "Most [project owners] in a foreign jurisdiction have typically relied on expats. So, they bring in an expat mining engineer to run the mine, an expat mill guy to run the mill, and an expat procurement … and then you've got three generations of operating systems that are going to compete with each other. You end up with three different ways of doing the same thing across a business, and we have all seen the problems that causes. "And that's also been compounded by the calibre of people who typically take the jobs in the back-end of nowhere, versus the ones who want to work out of an air-conditioned office in Perth. "We're short of people coming into the industry as it is. There is a growing awareness that it's time to grow our own, build that sustainable workforce for the long term that ultimately gives you a much lower cost position and alleviates that risk of having expensive expats running around holding all of your IP. "Putting the effort into operational readiness can also prevent the post-commissioning operating sag in performance that you nearly always get. "At Simberi, with St Barbara, we went from 40 expats doing 60,000oz per annum [gold output] to 14 expats doing 130,000ozpa. Operating systems played a significant role in that turnaround. "At Mahenge we've got a great orebody, a great location because of logistics and power; we've got the engineering done properly, and the operating model really comes in and makes a crucial difference. "The challenge then is to stitch all of that up and raise finance on the back of those differences. "It's a challenging environment at the moment because of the pullback in risk, but as I said, we have designed a project to be built and that always gets recognised by the market as the weaker projects get weeded out." On the back of this week's DFS release, it looks like Cinderella is off to the ball.